The 4th of July is the biggest grilling day of the year. Remember that it doesn't have to be fancy, although it can be fun to try out some new grilled or smoked foods. 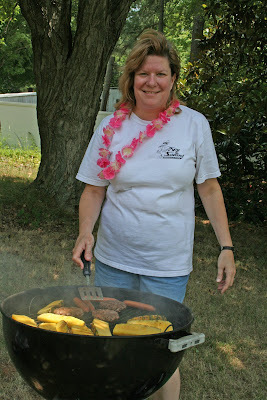 If you're looking for some inspiration, check out my grill web site Yes You Can Gril. The quickest way to see if I have what you're looking for it to check out the site map. I try to add all new articles there, and I am adding all the time. I take requests too, so let me know if you don't find what you're looking for. Have some fun stuff going to keep your guests busy. Now, it does depend on the age of course. 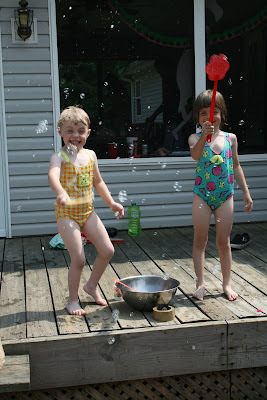 But, the little ones always love homemade bubbles. Old fashioned flyswatters make mega mini bubbles. YUM! 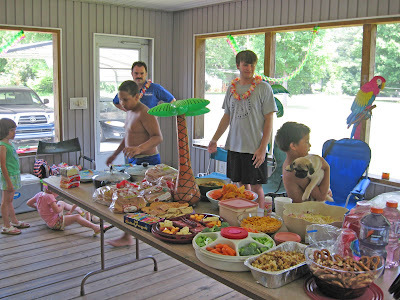 We always have way more than we can eat family gatherings. That's OK. Leftovers are nice, and that means I don't have to cook later in the day. It's not easy to forget all the grilling that goes on for the 4th of July celebrations, but you make a good point saying that it doesn't have to be fancy, just get out there and enjoy! BTW… check out our new video series “Weber Grill Master”. http://www.youtube.com/watch?v=iRN-VTuA0aw Grilling experts Jamie Purviance and Steven Raichlen compare notes on grilling techniques, what inspired these classically trained chefs to pursue the art of cooking with live fire, and find out what led to their biggest grilling mistakes.